Final Fantasy VII is the type of game you play more than once. It is dense. There are a number of locations to explore and hidden plot events to uncover in its 30- to 70-hour playtime. Taking into account a notoriously rushed translation and an elaborate script, players could be forgiven for missing a few narrative details. My first play-through, at the tender age of ten, was confusing mostly due to the presence of guys in black cloaks. In fairness, I was part of the problem. As much as I appreciated the grand spectacle of Final Fantasy VII there were a lot of dialogue boxes and my hyperactive thumb was on the X-button. So, yes — running into Tattooed Men™ raised an eyebrow or two. So who or what exactly are these guys? The Western version of the game has Professor Hojo referring to these wandering ponchos as Sephiroth Clones™. Semantically, this suggests something other than what I think was actually intended. The Compilation of Final Fantasy VII retcons suggest these beings were test subjects used in the Project S™ portion of the Jenova Project™. Essentially, Professor Hojo injected these poor souls with Jenova’s cells in order to test Jenova’s ability to recall her scattered bits back to the motherland (pun intended). This is Jenova Reunion Theory™. 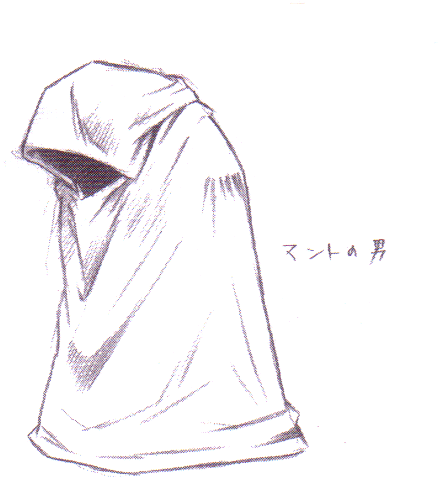 During early versions of the game’s script (noted in Final Fantasy VII Ultimania Omega) the clones were not people, but, rather, chunks of Jenova floating in the air, covered in black cloaks. Nightmare fuel, right? I prefer the idea of walking science experiments. There are twelve Tattooed Men™ that the party interacts with during the events of Final Fantasy VII. The first traveled from North Corel to the Gold Saucer, has a tattoo in the palm of his had, and asked Dio if he had the Black Materia. The second was reported mumbling something about a “reunion” by residents of Sector 5. Nibelheim has nine of these figures — five of which provide the player with helpful items. Finally, we witness a Tattooed Man™ exiting the Temple of the Ancients right before dying. He had a tattoo on the back of his neck. Given that none of these shadowy figures sprout angle wings or brandish six-foot-long swords, it’s fair to say that they only exist to illustrate the point that Jenova cells always want to come back together. Because reasons. Cloud, the most pointy of JRPG protagonists, also feels the call of reunion. The big twist of Final Fantasy VII is that Cloud is also a Hojo experiment and most of his memories are a mix of what he wanted for himself, what he knew of SOLDIER from his friend Zach, and bravado. What’s tragic is that not only are the foundations of who he is as a person a lie, but Hojo didn’t see him being worthy of having a nifty tattoo. Hojo has a weird fascination with tattooing his science experiments. His penmanship looks excellent though. 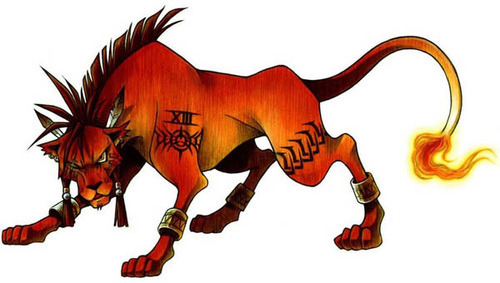 Okay, I realize that our favourite talking lion was the subject of Jenova speculation because of his name and, well, those tattoos. Had Red XIII been another Sephiroth Clone™ wouldn’t he have acted strangely during the events of the game? Couldn’t Sephiroth have taken control of him? I’d say it’s just a tattoo. Back to the creepy guys in black — did you know that they were people before they were parkas? After the events of the “Nibelheim Incident” Hojo rounded up the survivors for the sake of crazy, bad-for-everyone science. They would be injected with Jenova cells and exposed to extremely high levels of Mako energy — similar to the creation of a SOLDIER. Had these people not been on the brink of death already perhaps we would have seen another Cloud. The Final Fantasy Wikia suggests that it is because they were so weak and broken after the incident that they end up being wandering husks. So what does that make Kadaj, Loz, and Yazoo The from Advent Children? I remember standing at the bus stop while my best friend at the time argued they were literal clones of Sephiroth while watching the Japanese bootleg of Advent Children on his PSP. Not once does the film suggest that they were created by someone, however, Advent Children also doesn’t do a great job characterizing any of them. The premise of Kadaj, Loz, and Yazoo are that Sephiroth refused to be absorbed into the Lifestream after Cloud slap-chopped him with his buster sword and instead was formed into three separate beings who each embody a fragment of who he was. The story behind Advent Children isn’t particularly well executed, nor are the motivations of these three brothers. Rather than having a traditional reunion of Jenova cells, the three silver-haired hunks peer pressure the impoverished children of Edge (formerly Midgar) into drinking from water that may cure their ailments but also robs them of free will. This is so they can use the children in negotiations over their mother’s head — which Kadaj then drinks, because reasons. Is it an example of Jenova Reunion Theory™? No, but it is nice to see an HD fight between Sephiroth and Cloud, so fans collectively give it a pass. The real question is why Hojo was so determined to shove Jenova cells into anything he could get his grubby little hands on. It’s clear he was originally motivated by mad science and tattoo artistry, but we don’t find out until right before he dies that he had injected himself with Jenova cells — probably before Sephiroth was ever conceived. This makes it harder to draw a line between what he chose to do and what Jenova controlled him into doing. The amount of control Jenova exerted over all of her “puppets” is considerable. In fact, Jenova Reunion Theory may just be the running hamster at the heart of Final Fantasy VII’s plot. Likewise, Cloud is in many ways defined by his role as a Sephiroth Clone™ and further endeared as the one who was able to (eventually) reject her. It’s a plot device that absolutely works in service to the game’s greater world building. I just wish I didn’t have to replay Final Fantasy VII a few times for that to sink in. Having just played through Final Fantasy VII for the 4th or 5th time and finishing it last week, I’m glad you posted this while the story was fresh in my mind again. It’s definitely a game whose rushed translation is both a blessing and a curse, as it requires numerous playthroughs to put together and gives way for fan theories that are as much fun to discuss as they are to read and write. I always thought “clone” was due to poor translation and always considered they were more of Hojo’s experiments to recreate what he’d done with Sephiroth. The tattooing is horrifying for numerous reasons when you consider how closely Hojo aligns with the real life “Angel of Death” Josef Mengele. The Reunion always reminded me of the Iron Giant, because all of his pieces could come back together after destruction, and the “piece of Jenova” covered with a cloak is eerily reminiscent of something that happens in Steven Universe with the gem fragments, though that show puts me in the mind of quite a few FFVII motifs. Excellent examination!